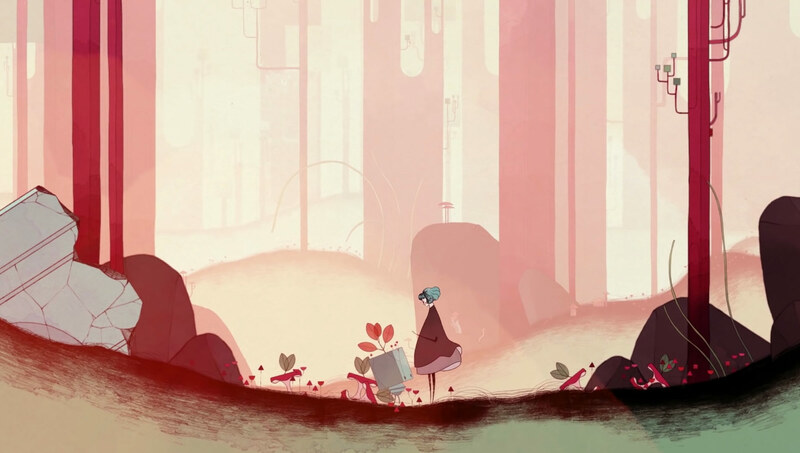 GRIS is an new video game designed by Nomada Studio that leads users through a surreal landscape filled with crimson mountains, square trees, and overgrown ruins. There is no danger or death in the detailed watercolor world, but rather the opportunity for meditative exploration with the main character as she unlocks new worlds and abilities. The video game features an original score, which perfectly matches the tone of its soft, gestural graphics, created by Nomada Studio partner Conrad Roset. The game design mimics the way watercolor pools on paper, with splotches of color often falling outside of the lines in the main character’s face or the hills she slides down or leaps over. “In our game the scenery is very important, and sometimes takes the spotlight over the main character,” says the studio.